The long journey was made by the Spanish Air Force to take part in FIDAE 2018, Santiago de Chile. Airbus A400 completes its longest flight ever. 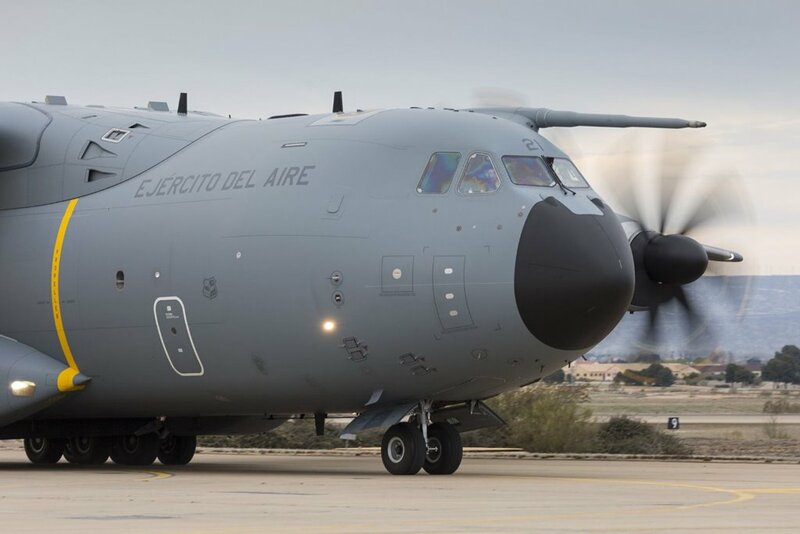 A Spanish A400M belonging to the Ala 31 landed on Tuesday, April 3, at the Comodoro Arturo Merino Banítez airport in Santiago, Chile, to participate in FIDAE 2018, April 3-8. FIDAE is the leading aerospace, defence and security exhibition in Latin America, it takes place every 2 years and collects up to 550 companies from 60 different countries. This year's edition includes the flying display of the Airbus military airlifter. The A400M has completed its longest journey to date to participate in the exhibition. The flight lasted approximately 17 hours. It began in Zaragoza and continued to the city of Recife, Brazil, where it made a technical stop and then proceed to Santiago de Chile. 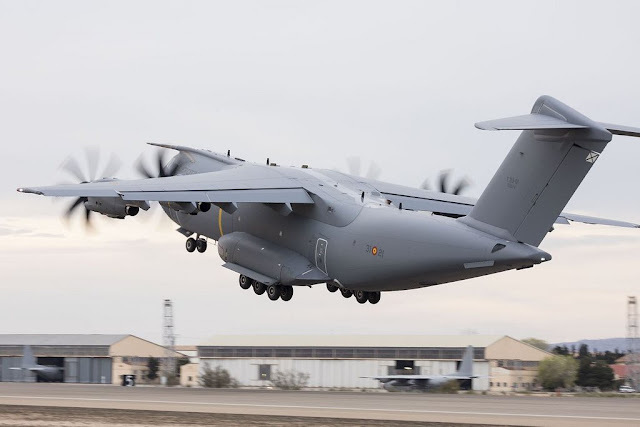 Airbus started the construction of the A400M at the San Pablo plant in Seville in October 2006 and today it is the reference aircraft in air tactical transport in Europe. On November 17, 2016, Airbus delivered the first A400M to the Spanish Air Force, and on December 1, 2016, it was assigned to Wing 31 at the Zaragoza air base, where it will replace the C-130 Hercules. The second A400M entered the Spanish Air Force fleet at the end of 2017 and a third aircraft is expected to be introduced by 2018. The brand new SpAF aircraft has already completed missions on three continents: Latvia, Estonia, Senegal and Mexico. The A400M has significantly increased the air transport duty of the Spanish Air Force. The aircraft has a greater load volume than the C-130 and can take different configurations to operate in different scenarios and missions.